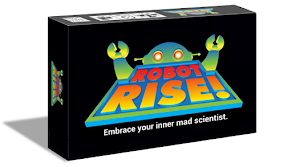 Below are some rule and card clarifications for ROBOT RISE! Giant Robot Part Cards – Any one giant robot part card (e.g., a Head, a Body, or a Legs card) may not be played as either an attack or a defense by itself. Until one of each of the three types is represented, the giant robot is not fully formed and cannot be played. Individual giant robot part cards, however, may be discarded, stolen in a raid, or recovered from the discard pile via a Time Machine card. Nuke Cards – Like giant robots, even though a Nuke card can play two roles (lethal attack or defense), it cannot play both roles on the same play. Once used for an attack or a defense, it is discarded. Malware Cards – The player using a Malware card as defense turns the giant robot around to attack its owner, and then draws a defensive replacement card. The owner of the giant robot (or the majority builder in the case of an alliance-constructed giant robot) must then defend or lose a lair. The owner, who is now being attacked (by his own robot...how embarrassing! ), may also play a Malware card in defense (and draw a defensive replacement card). In that situation (which we refer to as "giant robot ping pong"), the giant robot turns around and attacks (again) the original target of the initial attack. That player must then (again) defend or lose a lair. Flexible Bot Module Cards – A functional giant robot may contain multiple flexible bot modules, with each one substituting for a single Head, Body, or Legs card. Flexible Bot Module cards may contribute to a 3-card set of Giant Robot part cards to exchange in for 3 new cards if requesting a temporary alliance is not available (e.g., when there are only two players remaining in the game). Time Machine Cards – Cannot be used to retrieve event cards or other Time Machine cards from the discard pile (rifts in the space-time continuum or something). If the top three cards on the discard pile were used to form a giant robot, only one of the giant robot part cards may be retrieved. Force Field Cards – This card is played in front of the player’s secret lairs until the start of the player’s next turn. If another player’s only available play is to attack a player with an active Force Field, that player must attack even though it will have no effect. Monologue Card – The attacked player selects the cards. Freeze Ray Card – A frozen player may defend against attacks, but may not participate in alliances. 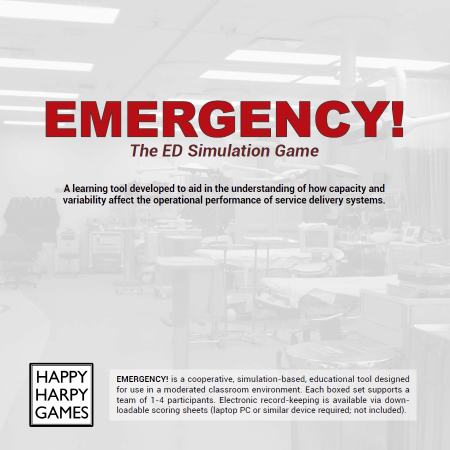 EMP Card – This is only an effective defense against giant robots and nukes. It has no effect on any other form of attack. Event Cards – When an Event card is drawn, it is resolved immediately. Event cards never go into a player's hand. Also, Event cards are not replaced after being dealt with. For example, if you draw a Spy Attack card for your end-of-turn card and defend against it, you do draw a defensive replacement card as usual, but you do not draw an additional end-of-turn card. Similarly, if you draw an Event card as the 2nd of 3 cards you get to draw as a result of playing, say, a Part Swap card, you would resolve the Event card and then draw the 3rd of the 3 cards; you do not get a new 2nd card (the Event card consumed that draw). To sum up, when you draw an Event card, you will be forced to defend or lose a lair (and then draw either a defensive replacement or a consolation card), BUT you do not replace that Event card in your hand. Q: How many defensive replacement cards do I get if I play a Giant Robot in defense? > > > A: You get 1 defensive replacement card, the same as with any defense. TIP: Some players find it useful to place a Freeze Ray card or Mind Control card in front of the player that is being affected so that they more easily remember that the card is in effect. Once the affected player's turn is over, the card is discarded. TIP: A player may allow one of his secret lairs to be destroyed by a lethal attack even though he could defend against it. Yielding a lair is always an option. If you want to hide that you have a defense card, or simply avoid using it, you may choose to give up a lair instead of defending. Note that this would be a very bad choice for your third lair since losing that one means you have to exit the game. TIP: When replacing a completely drawn down deck by shuffling the discard pile, it can be helpful to leave the top 3 cards from the discard pile in place. That way, if the next card played is a Time Machine card, there will be cards to choose from. SCENARIO: In a 3-player game, Player A played a Mind Control card on Player B so that Player B could not attack Player A on Player B's next turn. On Player B's next turn, she requested an alliance to form a giant robot. Player A did not offer to join. In this situation, even though Player C might offer to join the alliance, Player B could not accept it because the resulting giant robot could not then attack Player A (due to the Mind Control card). So, in this scenario, if Player A chooses to not join the alliance, it is deemed a failed alliance request and Player B must find another play or draw a card to end her turn. A) Flexible Bot Modules can complete a "stylistically matching" Giant Robot so that the "attack two other players" rule may be activated. In other words, they are wildcards not just in what type of Giant Robot part card, but for which Giant Robot. B) If you're playing with only 2 players and one of you attacks with a stylistically matching giant robot, the baseline rules are that it only counts as a single attack. However, it's been suggested that the defender instead has to defend twice (due to the enhanced power of the matching robot). An alternative is that the matching robot attack is indefensible and automatically takes out a secret lair. Try different variants and see what makes the game the most fun for you.